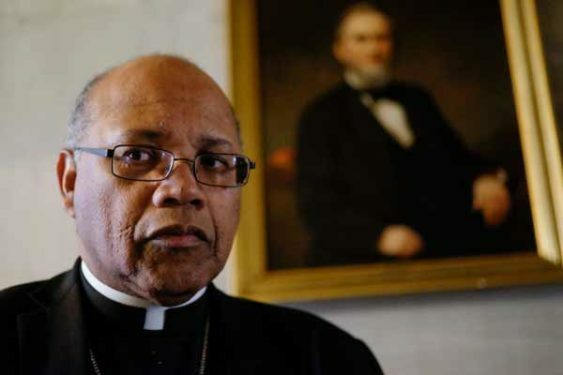 Bishop Holley had previously served as an auxiliary in the nation’s capital for over a decade, and many priests and diocesan officials in Memphis now recall his two-year stint as navigating tensions between a bishop who resented being in a smaller, poorer diocese, while all the while seeking to leave his own indelible mark. Upon his departure in October 2018 – when Pope Francis forcibly removed Holley from office – the Holy See Press Office emphasized that mismanagement of the diocese was the cause. Bishop Holley, however, offered a different account. Bishop Holley said that in 2012, Cardinal Wuerl was under consideration by Pope Benedict XVI as a candidate for the Vatican’s Secretary of State and Bishop Holley was asked to provide feedback on his suitability. When Cardinal Wuerl didn’t get the job, Bishop Holley maintained that he harbored “disdain” toward him. Despite multiple requests, Bishop Holley declined to speak with The Tablet for this series. A senior staff member for pastoral administration of the Archdiocese of Washington disputed Bishop Holley’s account, saying the idea that Cardinal Wuerl was under consideration for Secretary of State is “mystifying” and further, Bishop Holley’s interactions with Cardinal Wuerl upon his arrival in Memphis are hard to reconcile with a narrative of disdain. In addition to inviting Cardinal Wuerl to be lead consecrator at his installation Mass, Bishop Holley would invite Cardinal Wuerl back to Memphis to deliver a keynote address at his priest convocation and to meet donors, both in private and group settings. He would also invite him to serve as the homilist at his Red Mass, though Cardinal Wuerl was not able to accept due to a scheduling conflict. In the two-month period between the announcement of Bishop Holley’s appointment and his official installation, priests and diocesan officials recall an eager diocese ready to welcome their new shepherd. Yet Bishop Holley, they maintained, seemed less than interested in either the people or the programs he would soon oversee. Memphis Catholic is part of the Jubilee Schools system, a diocesan-run program started in the late 1990s to provide education in the inner city. The program, once dubbed “the miracle of Memphis,” would soon grow to nine schools, providing first-rate, often free, education to thousands of students, thanks to local donors. Bishop Holley made it one of his first acts to announce he was shutting it down. Although the stated reasons were financial, several priests, chancery officials and prominent lay individuals told The Tablet that Bishop Holley could easily have raised the money to keep the schools open if he’d been willing to meet with its notable backers, yet he expressed no interest in doing so. Msgr. John McArthur recalls Bishop Holley stating on multiple occasions, “I have no interest in educating non-Catholics,” who formed the majority of the student population at the Jubilee Schools. Mike Allen, who served as director of Catholic Charities in Memphis for six years, and briefly under Bishop Holley, told The Tablet that this seeming disinterest in community engagement extended to other areas. Allen said that in his capacity as head of Catholic Charities, he had helped plan a series of events to introduce Holley to the community during his first 90 days. Events included food distributions and clothing drives, which Allen hoped would be a “win-win” both for Catholic Charities to garner press and for Bishop Holley to gain local exposure. On another occasion, Allen said Bishop Holley sought to end Catholic participation in “Room in the Inn,” an ecumenical outreach program for the homeless. Despite its popularity, Bishop Holley decided he no longer wanted Catholic parishes and organizations to participate – a decision which Allen was able to reverse after repeated pleas. In a letter shared by Allen with The Tablet – sent to Bishop Holley in July 2017 – he outlined concerns about management of the diocese, while also striking a conciliatory tone. By the time Archbishops Bernard Hebda of St. Paul-Minneapolis and Wilton Gregory of Atlanta arrived in June 2018 to lead a Vatican visitation, by some estimates more than 250 letters had been sent to the Apostolic Nuncio, Archbishop Christophe Pierre, seeking an intervention. Archbishop Hebda and Gregory spent three days holed away at the Holiday Inn at the University of Memphis, interviewing an estimated 40 individuals. Less than two weeks later, Bishop Holley’s all-powerful vicar general, Msgr. Clement Machado, would announce his resignation, and priests began receiving letters of apology from Bishop Holley with a pledge to work together. While priests and diocesan officials told The Tablet they had hoped the situation was salvageable, after a vacation away from the diocese Bishop Holley was back to his usual style, with mandates that all communication intended for him be directed via e-mail to Msgr. Machado. Two months later, Msgr. Machado was back for a visit. Meanwhile, the diocese continued to suffer from what some diocesan employees referred to as a “brain drain,” with high turnover during Bishop Holley’s two years in office – including the chief operating officer, the chief financial officer, two communication directors, and the director of facilities and risk management. On Oct. 24, the Holy See Press Office announced that Pope Francis had forcibly demanded Bishop Holley’s resignation – though news of his departure had actually come a day earlier when Church Militant announced it. The following day, Archbishop Joseph Kurtz of Louisville, named by Pope Francis as apostolic administrator, arrived on the scene. Priests and diocesan officials say they’ve heard more from Archbishop Kurtz in his short time than Bishop Holley during his two years, and that level of engagement has been a breath of fresh air. While the nuncio told Bishop Holley he trusted him for the local governance of the diocese, multiple priests, including those working directly with Bishop Holley at the time, told The Tablet Bishop Holley would later rebuff subsequent suggestions from Pierre, including one that Bishop Holley travel to Rome to discuss the situation in Memphis. While most priests now are predicting a long waiting period until a successor is named, with some anticipating up to a year, these individuals described a range of emotions – from being shell-shocked, to relieved, to grateful for a chance of healing. They’re also eager that their story be told as a case study for others, emphasizing that the tumult was not the result of politics but poor leadership. “I’d like to see a reconciler, a healer, and a real pastor come in,” said Father Ernie DeBlasio. “It would be nice to have someone who actually liked Memphis,” Father Keith Stewart told The Tablet. As Bishop Holley’s troubled term suggests, such built-in support isn’t unquestioning or infinite. Depending on how things play out, trust can either be augmented or exhausted – and a leader who wants to last might consider how a few tips on winning friends and influencing people might prevent the latter. Editor’s Note: This is the third article of a three-part The Tablet series chronicling the two-year tenure of Bishop Martin Holley in Memphis, Tennessee. Part one may be found here. Part two may be found here.